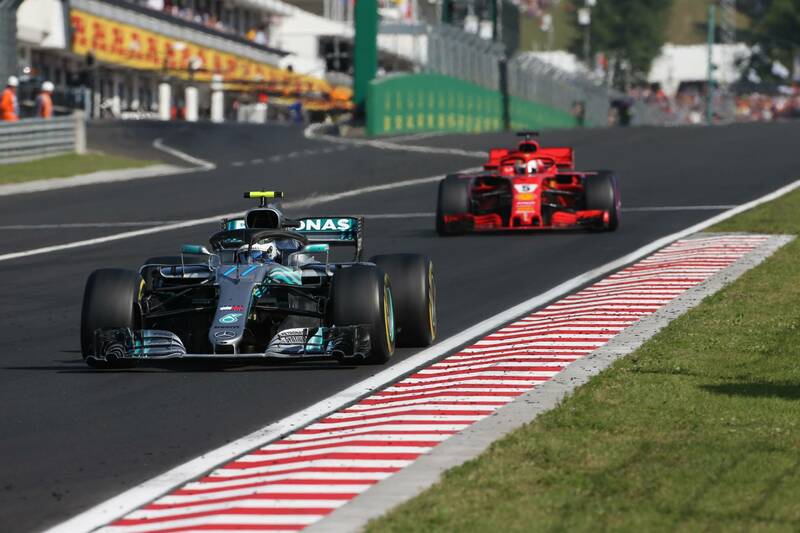 F1 Race Analysis: Did Ferrari blow a shot at victory in Hungary? Did a strategy miscue see Ferrari blow the chance for Sebastian Vettel to enter the summer break with another win under his belt? When Lewis Hamilton knelt beside his stricken Mercedes following a hydraulic failure in Q1 at Hockenheim last Saturday, he was staring down the barrel of a sizeable points deficit heading into the summer break. Yet eight days later, Hamilton has two more wins under his belt, and is now riding into the sunset with a 24-point advantage over Sebastian Vettel at the top of the drivers' championship. It's a turnaround that few saw coming. Ferrari looked strong in Germany and, at points, unstoppable in Hungary. Just as big opportunities were spurned in Singapore, Malaysia and Japan last year, two open goals have passed by this month. Germany was on Vettel and Vettel alone, while Hungary was also down to the circumstances. Had qualifying been dry, it's unlikely Hamilton would have taken pole - Ferrari looked too good over one lap - and the race would have been a different story. But did Ferrari blow the chance to win the race for Vettel on Sunday? Starting on Softs, Vettel was always angling to go for the inverse strategy of what the front-runners did, with Hamilton, Mercedes teammate Valtteri Bottas and Kimi Raikkonen in the second Ferrari all opting to fit Ultrasofts for the opening stint. Vettel did well to sweep around the outside of Raikkonen at Turn 2 after a decent start, but struggled to keep pace with the Silver Arrows through the opening stint as they made their tyre advantage tell. Raikkonen was the first of the leaders to pit, coming in at the end of Lap 14 to move on to Softs. It was an early move given the high levels of degradation seen on Friday in practice and the warm track conditions, with the tarmac hitting 57ºC. But it was enough to force Mercedes into bringing Bottas in one lap later to prevent Raikkonen getting the undercut. This allowed Vettel to rise to second, with the gap standing at 8.7 seconds. Hamilton began to hit traffic as his tyres began to fade, allowing Vettel, now in clean air, to whittle the gap down to just 6.7 seconds. Mercedes decided to bring Hamilton in at the end of Lap 25, fitting Softs that would need to last 55 laps to avoid a second stop. Ferrari had by this point committed to keeping Vettel out and going for a long Soft stint before a late switch to Ultrasofts - or 'plan C'. The goal was to get the buffer to Hamilton high enough that he could pit, emerge in second - retaining the lead while pitting was never realistic - and then catch with fresh Ultrasofts when the pace delta would be at its greatest. At first, Hamilton showed few signs of letting that happen, immediately popping in the fastest lap of the race to cut the gap to Vettel to 12 seconds. But Vettel responded. Even with his Soft tyres being some 25 laps older, he was able to match and even outpace on Hamilton on occasional laps, with the gap extending to 14 seconds. The worse news for Mercedes was that Bottas - his tyres 15 laps fresher than Vettel's - was losing time. On Lap 34, Vettel was 25 seconds clear of the Finn in P3. With pit entry to pit exit taking 21 seconds, Vettel had the chance to get the jump and leave only Hamilton ahead. But Ferrari did not blink. The team kept Vettel out, pushing hard to try and make the gap even bigger, only for it to reduce bit by bit. Vettel himself was now hitting the same wall Hamilton had in the closing stages of his first stint, with a combination of traffic and fading tyres reducing his lead to just 10 seconds. He was no longer safe to Bottas, either, the gap falling to 20 seconds. Ferrari finally pulled Vettel in at the end of Lap 39 to take on a fresh set of Ultrasofts that would carry him to the chequered flag - and, the team hoped, victory. Hesitation getting the front-left tyre on meant Vettel's stop lasted 4.2 seconds, costing him crucial time. As he emerged from the pits, Bottas flashed past. If he was going to win this race, he'd have to make his Ultrasofts last 31 laps and pass both Mercedes drivers. A big ask indeed. Mercedes team boss Toto Wolff has said pre-race he wanted his drivers to make their cars "as wide as a London bus" - and that's precisely what Bottas did. Vettel didn't even look like getting past, with his tyres quickly cooking in Bottas' dirty air. To make matters worse for the Ferrari driver, Hamilton - whose conservative pace early in his second stint had been to save the tyres - was now pulling clear at the front, his advantage growing by 10 seconds in 10 laps. Vettel was forced to drop back and let his tyres cool before trying to catch Bottas again. Ferrari had tried to force Mercedes into a second stop by pitting Raikkonen again, but Bottas had held firm. Raikkonen himself was now on the back of the train, while Daniel Ricciardo was also flying in fifth. The move for P2 finally came with six laps to go, albeit in controversial circumstances. Vettel held tight through Turn 1 before getting an exit and pulling clear towards Turn 2. Bottas refused to back down, bolding pointing his car down the inside of the corner. Contact followed, but Vettel got away without any major damage, continuing into second. Bottas was left limping with his front wing knocked, with a second collision with Ricciardo following two laps later. If Vettel had wanted to win the race, he'd needed to pass Bottas early in the second stint before getting his foot down. Instead, it took him 25 laps. 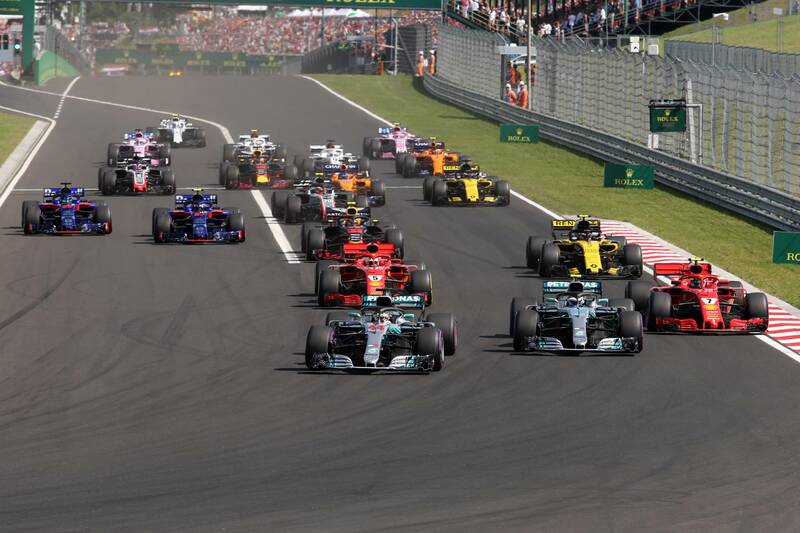 The Hungaroring is notorious for its difficulty to overtake, and so it proved - even with the Ferrari being the faster car over the Mercedes this weekend. "I think more than second wasn't really there. I think Lewis had a lot in hand in the final stint, so we could have probably caught him down a bit, but not passed him," Vettel said after the race. "It's not the track to pass. You saw at the end I was a lot faster than Valtteri. Initially I couldn't make it, so I sat back and waited for the last 10 laps, and that's when we did it. I think obviously if we come out ahead, then the last stint is a lot more relaxed. That way I had to find a way past on a track that is nearly impossible to overtake." Hindsight is a wonderful thing, but had Ferrari brought Vettel in five laps earlier, he would have comfortably come out of the pits ahead of Bottas, and would have been running about eight seconds back from Hamilton. Even if Hamilton had pace in hand, the Ferrari was a) the quicker car and b) on quicker tyres. Making the final pass may have been tough, but Vettel would have at least had a chance. His Ultrasofts would have needed to last 36 laps, with the longest stint completed on the tyre being 32 laps by Pierre Gasly - although he reported they felt fine to continue a bit longer if required. Ifs and buts don't decide titles, though - victories do. 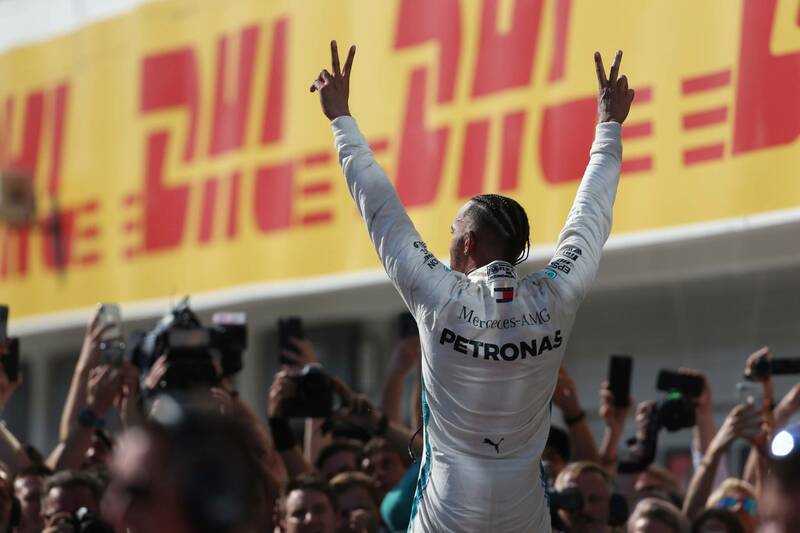 And it was Hamilton who took to the top step of the podium in Hungary for the sixth time in his career on Sunday, giving him the perfect result heading into the summer break. However, he is under no illusions that things are different now to 12 months ago. "Last year, maybe we felt like we were a little bit stronger than we were compared to this year. This year we all know that Ferrari really do have the upper hand pace-wise," Hamilton said. "But I think all around, performance-wise, in terms of strategy and... to win a championship is not just about speed, it’s about how you manage things, the strategy calls you make, mistakes, all these different things all weigh up. I think, as a whole, we have hopefully done a slightly better job up until now. "We’ve got work to do, we’ve got things to improve, we’ve got performance to bring moving forwards. We’ve got to try and catch them – but we’ve got to continue to keep rising with all the other elements, which allows us to beat the Ferraris when they don’t bring their A game." Much as Vettel had to capitalise on Mercedes' weak points if he wanted to win last year's championship, Hamilton is in a similar position right now. But if the last two weeks are anything to go by, he's going to make the most of any opportunity that will come his way.